Tokyo, Japan, July 6, 2017 ​– Today, Makeblock, a leading provider of STEM (Science, Technology, Engineering and Mathematics) educational products including hardware, software, programming courses and robotics competitions, announced the opening of their new branch office in Japan. 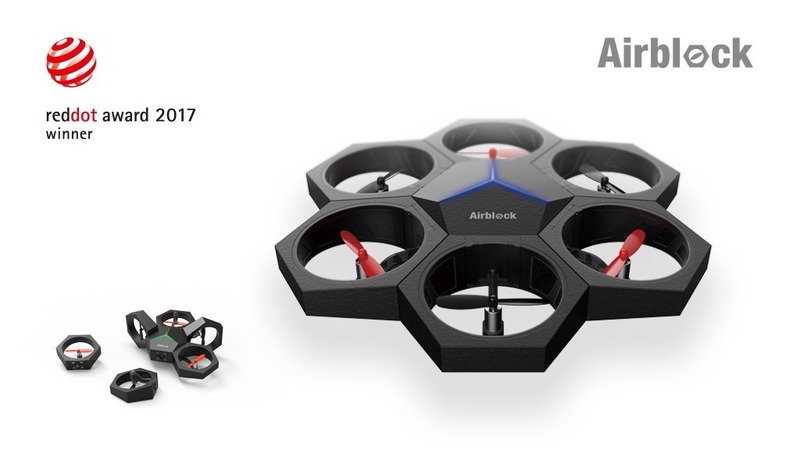 In addition, its new product Airblock, the modular programmable drone for beginners, was jointly released with its strategic partner SoftBank and will be available to Japanese customers starting July 14th. Established in 2013, Makeblock Co., Ltd is headquartered in Shenzhen – China’s Silicon Valley —with 45% of the total 450 employees being R&D personnel. 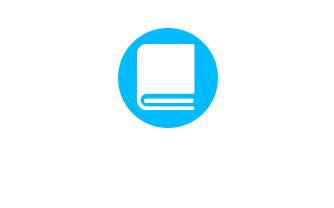 As a leading company in the STEM education, Makeblock offers its own one-stop platform to lower the barrier for people to learn, create and construct. 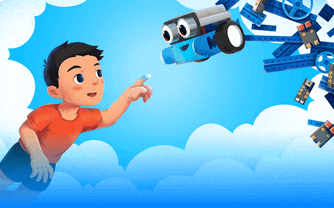 To date, over 1 million people across 140 countries have fulfilled their dream of learning and creating using Makeblock products. 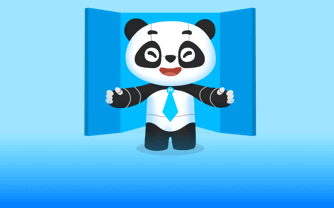 As the first step of an international expansion, the Japan branch office will mainly focus on expanding the new market and exploring partnership opportunities. SoftBank signed on as strategic partner to Makeblock at the end of 2016, to distribute educational robotics kits, including mBot, mBot Ranger and Ultimate, through its retail channels. 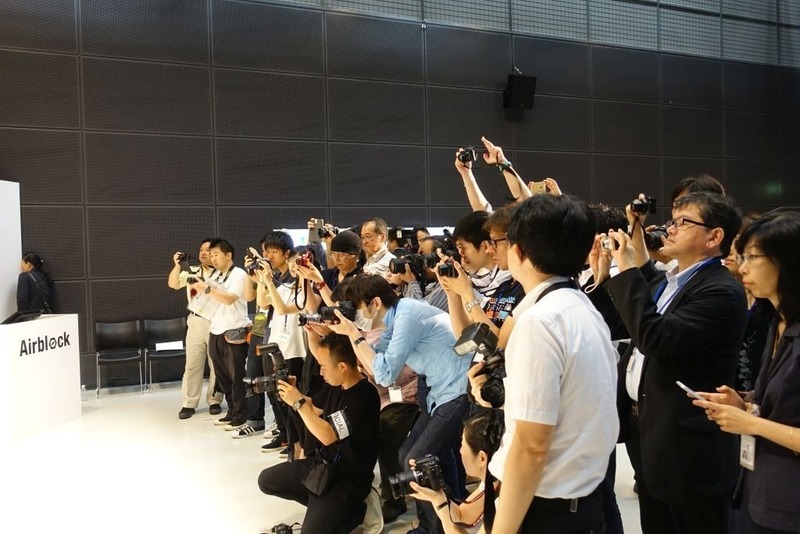 At today’s press conference, the two companies jointly released the new flagship product Airblock – a modular programmable drone – and announce SoftBank as the exclusive distributor of Airblock in Japan. SoftBank will make Airblock available to its retail partners YAMADA, Bic Camera, Yodobashi, and other retail and online channels starting July 14th, at a price of JPY 22,000 (pre-tax). DIY: Airblock’s modular structure lets users easily transform it from drone to hovercraft, and build their own DIY vehicles. Play and Learn: With the Makeblock app, both children and adults are able to easily control the craft and learn to program using a graphic interface. Unique Magnetic Connectors: Quickly and easily snap modules in place and re-assemble into new forms without need for tools. Safe for Indoor Play: Motors are designed with propeller guards to be durable for safety and durability, and a soft exterior made from soft and environmentally friendly EPP foam. The world’s first entry-level modular and educational drone that turns into a hovercraft, both programmable and transformable. The worldwide trend of STEM education (Science, Technology, Engineering and Mathematics), a term originating from U.S. education policies, are seeing increased adoption in Japan. The Japanese Ministry of Education, Culture, Sports, Science and Technology has recently passed a resolution to universally promote programming education in primary schools starting from 2020, with budget being allocated starting this year. 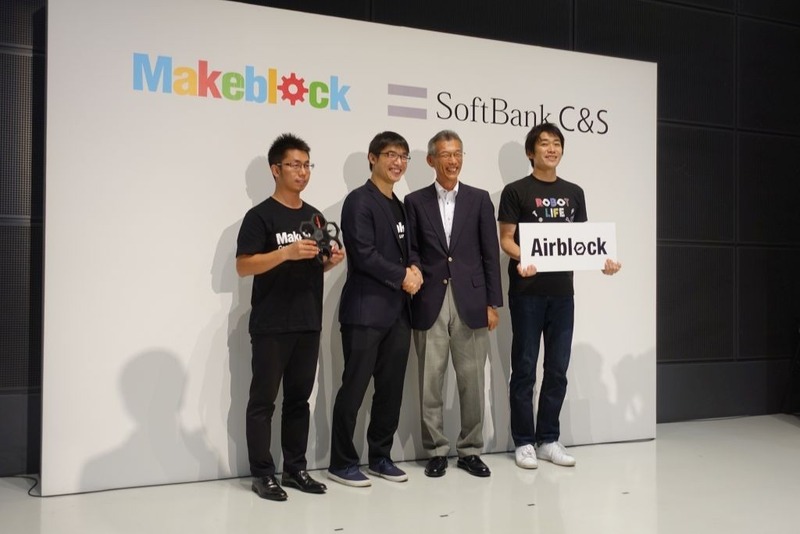 Seeing the great prospects of the STEM education industry, SoftBank has entered into a strategic partnership with Makeblock and formed a team of industry leaders to contribute to a more comprehensive education environment in Japan. Jasen Wang, the CEO & Founder of Makeblock and Tetsuo Kuramitsu, the CEO of SoftBank C&S. 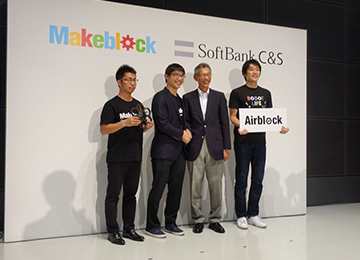 Setting up the Japan branch office and jointly releasing Airblock are the first steps of Makeblock’s global strategy. 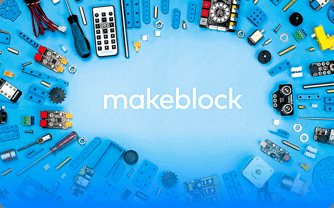 Committed to being the most respected education and entertainment robotics brand, Makeblock is fully focused on providing world-leading products for STEM education to lower the barriers to learning and creating. 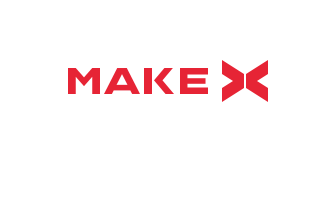 Makeblock Co., Ltd is a robotics startup from Shenzhen established in 2013. 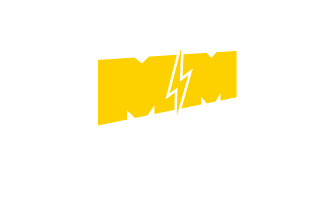 Its main brand Makeblock, founded in 2011, is a leading DIY robotics construction and STEM education platform for makers, hobbyists, STEM learners, and educators. 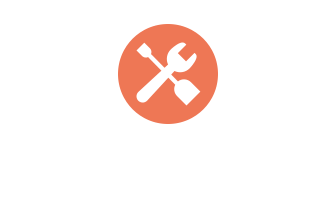 Makeblock empowers people to turn ideas into reality by providing STEM Kits, Tech Kits, DIY Kits, a building block platform of over 500 mechanical parts, and easy-to-use electronic modules, graphical programming software, and online and offline courses. 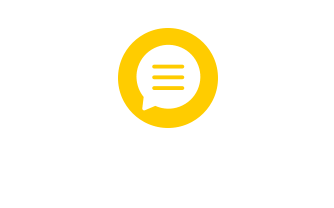 For more information, follow @Makeblock on Facebook, @Makeblock on Twitter or visit https://www.makeblock.com. 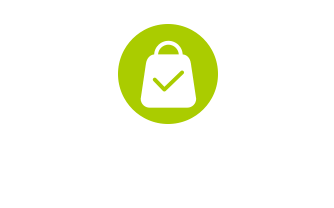 About SoftBank Commerce & Service Corp.
SoftBank C&S distributes various IT-related products, the original business of the SoftBank Group, and also manufactures and markets “SoftBank SELECTION” mobile accessories. 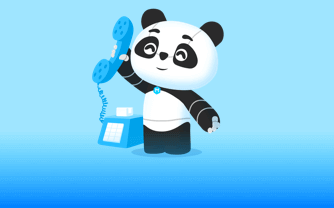 Additionally, by leveraging SoftBank Group synergies, SoftBank C&S provides ICT solutions that combine mobile and fixed-line infrastructure with ICT-related products for corporate customers, web services for various mobile devices, and e-procurement services. For more information, please visit http://cas.softbank.jp.